Whether it’s a bachelor party, golf getaway with the guys, or a college reunion with the frat boys; grab your buddies and head to Cancun. It’s the perfect place to unwind and enjoy some quality ‘’bro-time’’. 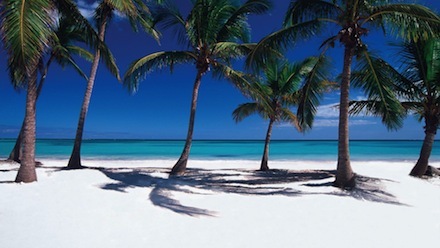 Cancun Great Vacations has an array of resorts, which will meet all of your needs. Whether you decide to stay at Sunset Royal, Sunset Marina Resort (in Cancun) or Hacienda Tres Rios (in Riviera Maya), your experience with us will be fun, relaxing and memorable (make sure to take pictures, in case you need reminders of the memories that were created, ha!). Here is a list of ‘’bro-approved’’ activities to ensure some quality ‘’bro’’ bonding time. GOLF: Staying at Sunset Marina Resort and Yacht Club, in Cancun, will put you a stone’s throw from the Cancun Golf Club at Pok-ta-Pok. 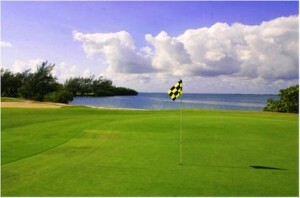 This 18 hole championship golf course has a driving range, 2 practice putting greens, 3 tennis courts, a full-service pro shop, which offers rental equipment for those who left their clubs or shoes at home, and a restaurant/bar with panoramic views of the Nichupté Lagoon and the Hotel Zone. Fore! YACHT LIFE: Nothing says ‘’my friends and I are uber important’’ more than renting your own private yacht for the day. You will be the envy of others as you coast the Caribbean Sea in luxurious comfort while cruising along the shorelines of Cancún, Isla Mujeres, Playa del Carmen, Cozumel, and the Riviera Maya. The exclusive Sunset Admiral Yacht Club & Marina offers access to a sophisticated and first-class class yachting experience. There’s an ample fleet of vessels to choose from. 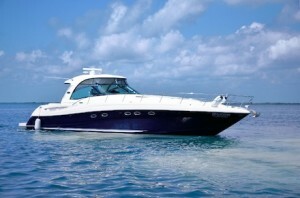 From 45’to 55’ lavish yachts for a privileged experience that a select few can take advantage of. Charter a private yacht and add the option of a fishing excursion, snorkel trip, or just breeze along the Caribbean Sea, sipping on margaritas. SPA TIME: Everyone deserves a day of pampering, dudes aren´t excluded! With our resorts, you have access to the ever indulging, extraordinary, and tranquil, Ya’ax Ché Spa. With an assortment of services including signature rituals, relaxing massages, balancing therapies, facials, body treatments, hand & foot treatments, your sore golf game will all be a distant memory. You will be recovered just in time to head out for a night on the town! NIGHT LIFE: What happens in Cancun, stays in Cancun! Retreating at one of our resorts in the hotel zone, puts you in a convenient location to experience the excitement and exhilarating nightlife that Cancun offers. You and your ‘’bro’s’’can relive your younger years at any of the multiple clubs located in the hotel zone. 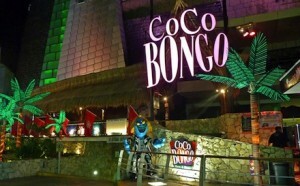 One of the most popular is Coco Bongo, right in the hub of the hotel zone excitement. With their amazing shows of acrobatics and musical impersonators, you will be inclined to strut to the beat of the music and show off your dance moves. Thumping music not your style? Head over to Pancho & Willy’s, located in the hotel zone night to the restaurant Captains Cove. Here, there is live entertainment. Throughout the week there is live music with a band, while karaoke reigns other nights. This open-air bar always has people singing, dancing, and having a good time. You won’t be disappointed. SHOPPING: This may be the most important part of your ‘’bro-cation’’. Don’t forget to pick up souvenirs for the ladies who graciously allowed for this retreat to happen. The hotel zone has several shopping areas that will give you many options for tokens of your appreciation. 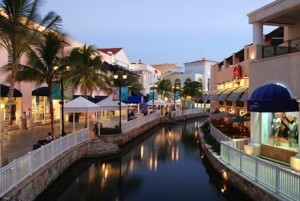 Check out La Isla Shopping Village, this is a gorgeous, open-air mall with a quaint canal running through it. It has many upscale boutiques and souvenir shops. Surrounded by several restaurants, you can take a break from this activity and enjoy a cerveza to maintain your manliness. Impress her with her new keepsake to ensure she let’s you have another ‘’bro-cation’’!